Why Go to the Canton Fair? If you’re looking to start an ecommerce or distribution business, there is no better place to get unique and interesting product ideas than the Canton Fair. Canton Fair, also known as the “China Import & Export Fair”, is the largest trade fair in China, with the largest attendance and the widest range of products available. It is at Canton Fair that the most number of business deals made, and so where you should go if attending China for the first time. Canton Fair in held twice a year usually in April & October every year and is divided into 3 different phases, featuring different ranges of products. You can find out all the details by reading our Free Canton Fair Guide. 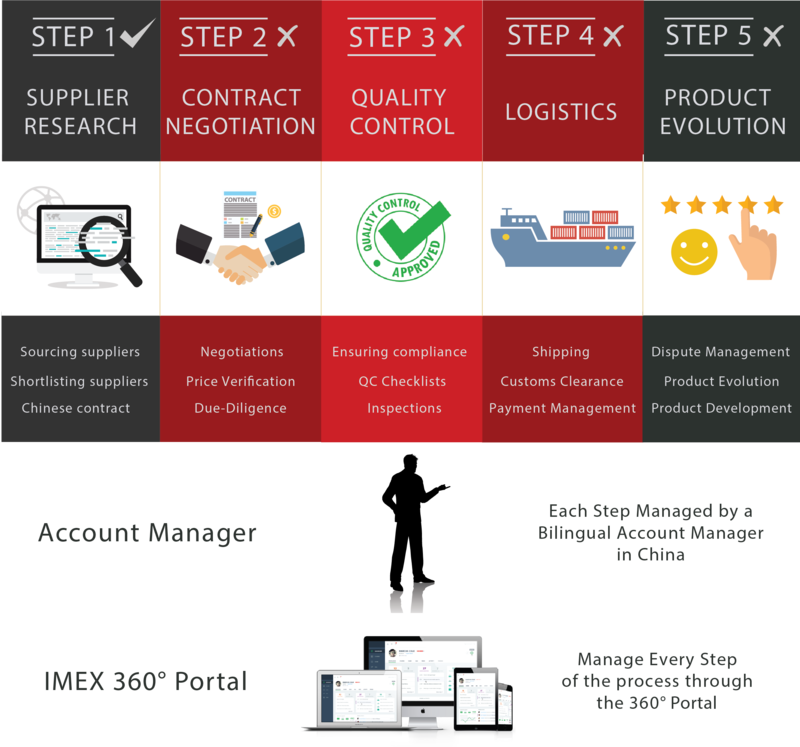 *The services mentioned above are part of the 360° Sourcing Process, not of the Canton Fair Package Service. We’ve been going to the Canton Fair for years now, so we’ve figured out the hacks to getting exactly what you want. Which day is the most important, where should you concentrate the most of your time, how to negotiate during the fair, etc. We created the “Canton Fair Package” and the “China Visit Package” to ensure that you focus on what’s most important for you: meeting and connecting with business partners. Pick-Up at Guangzhou Baiyun International Airport. Factory Visits around Guangdong Province. Factory visits to other parts of China can also be arranged however advanced notice is useful so all preparations can be made on time. For a complete overview about the Canton Fair, you can check out “The Ultimate Guide to Trade Fairs in China”. And for more details about our Canton Fair packages and pricing, please contact us using the “Contact Us” page on this website.